Inside the world of Bloodborne, there is a door. You can interact with the door. You cannot, however, open this door. And this fact drove people up a wall. What in the world was behind the door? And why could nobody open it despite repeated playthroughs? Was it hiding treasure? Was it for DLC, maybe? After much speculation, someone finally proved beyond a doubt what is behind the door in the video below. illusory wall uses the otherwise kind-of-useless shining coins to mark the door—turns out, if you drop coins while standing against a surface, they’ll get lodged into that surface. After stuffing some coins onto the door, illusory wall shows us the route they take to get to an area near the Cathedral Ward, where they find the other side of the door. The proof is in the coins: you can see them shining from both sides. Mystery solved! 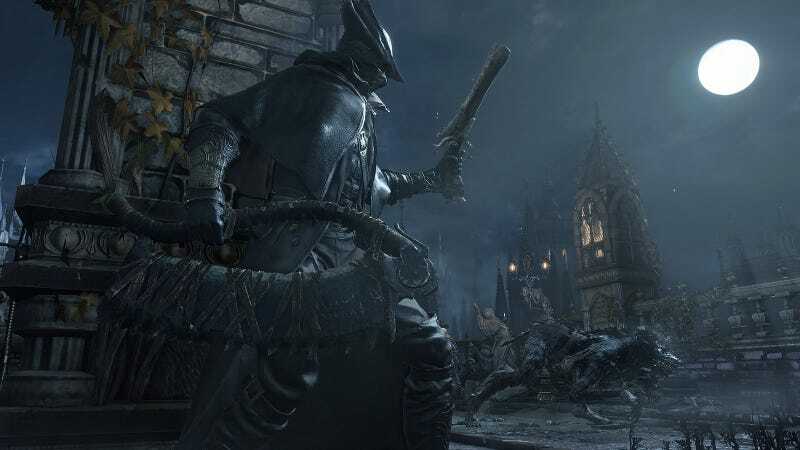 Like many other things in Bloodborne, a small detail became the fixation of fans, who are convinced that the game hides more secrets than it actually does. And yet! It’s easy to see why this happened, yeah? Why would the game flag a door as interactive unless it was going to let you DO something with it? And hell, maybe that was the plan all along. The door seems like it was meant to be a shortcut between two different areas in Bloodborne, and maybe the developers forgot about it. Who knows. It’s okay, fellow Bloodborne conspiracy theorists. There are still a few things we can speculate about. What’s in the hatch door at Byrgenwerth, for example?